The popular novel and movie, “The Bridges of Madison County” is now a Broadway musical. The show is based on the novel by Robert James Waller, has a book by Marsha Norman, and music and lyrics by Jason Robert Brown. Brown’s lush musical score is getting a lot of good press. The show stars Kelli O’Hara and Steven Pasquale. Visit the Bridges of Madison County website for more information about the show. The show is playing at the Schoenfeld Theatre (236 W 45th Street, between Broadway and 8th Avenue). 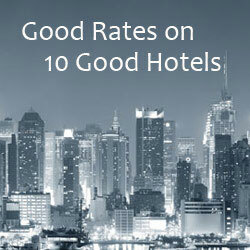 Hotels near the Schoenfeld Theatre. The Season of Savings has a discount offer for performances through May 25th. Orchestra and Front Mezzanine tickets are $85, Mezzanine rows G – H are $55, and rows J-K $49 for Monday – Thursday Evenings and Wednesday Matinees. For Friday – Sunday Evenings and Matinees, Orchestra and Front Mezzanine seats are $95, Mezzanine rows G-H are $55, and rows J-K are $49. To get the deal, click here and use code BRSOS3. 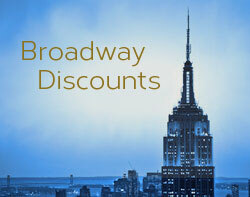 Theatermania has a promo code for discount tickets, $49 – $95 for performances through May 25th. Rush Tickets: A limited number of $37 general rush tickets are available at the Schoenfeld Theatre box office on the day of performance. There’s a limit of two tickets per customer. The rush tickets go on sale each day when the box office opens. Additional rush tickets may be available 2.5 hours before the performance. Subject to availability. Student Tickets: Discount student tickets are available for advance purchase through TIX4STUDENTS. More info.